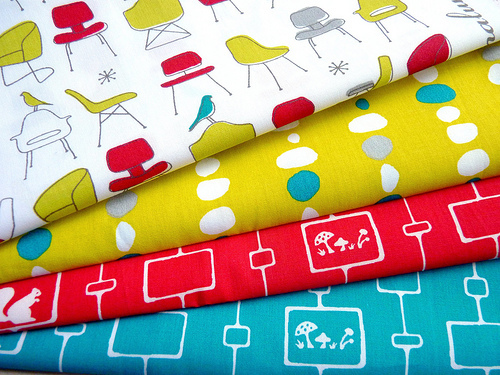 These fabrics are fun, fresh, boldly colored and 100% organic. 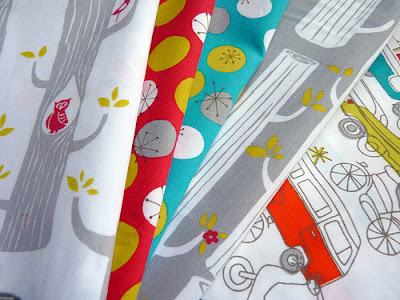 I just couldn't resist having my own stash of these fabrics. These fabrics are so suitable for a little boy quilt, and they are a joy to piece/sew with. 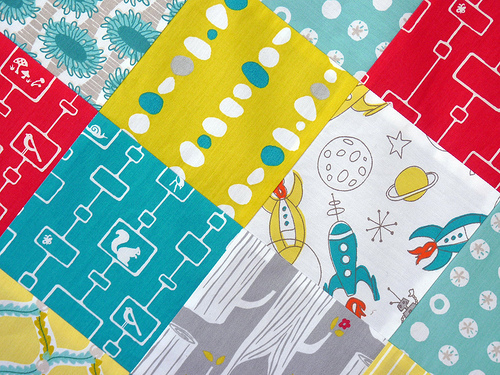 There's certainly going to be plenty of "I Spy" fun with this quilt! Monaluna Circa 50 fabrics were purchased from FabricWorm on Etsy, you will find the full range available there. Its lovely how it goes so well with Cloud9's beyond the sea fabric. those prints are really cute and different - I can very much see those for a little boy. Wow! Thanks for the great post Rita! I really love how you pieced them together with the Cloud9 prints. They work lovely together! Oh those fabrics are incredible! I love the color and the prints, oh my! Those are so cool - I love retro!! I want some!!!! Very playful fabrics. I need to check those out. I need something like that for a project I have in mind. Beautiful fabrics. Owls AND BIKES - 2 of my favourite things. I can feel a purchase coming on! Also love the quilt on the Etsy Fabric Worm page also. Not one of yours? What FANTASTIC fabrics! I love these so much. Eek! Unemployment is looming soon, but I think I need some of these, if not all! Must. Get. Some! Love the colors, love the prints. Looking forward to seeing what you've done! Very nice quilt and fabrics too. Thanks for the link, must pop over for a visit. Can't wait to see the whole quilt one day.